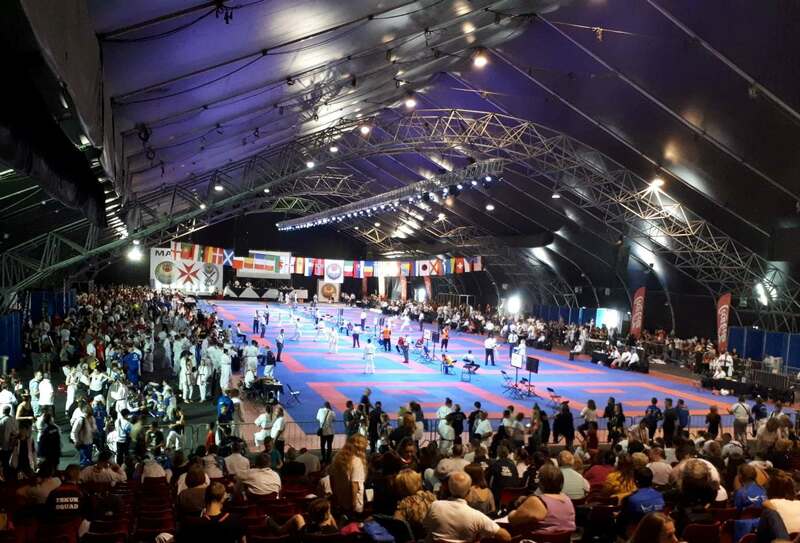 For the first time, the European Karate Championships and Kobudo World Cup have been held in Malta. 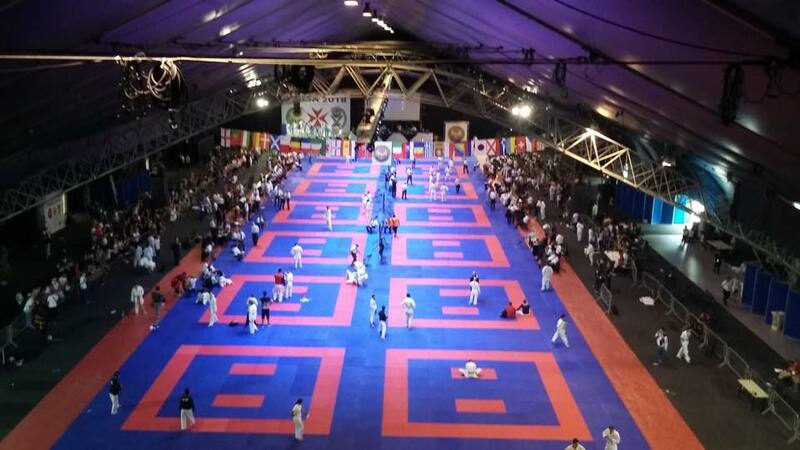 All organisers and members of SKSM proved themselves professional in hosting, what was said to be, the best European Championships ever to be held. 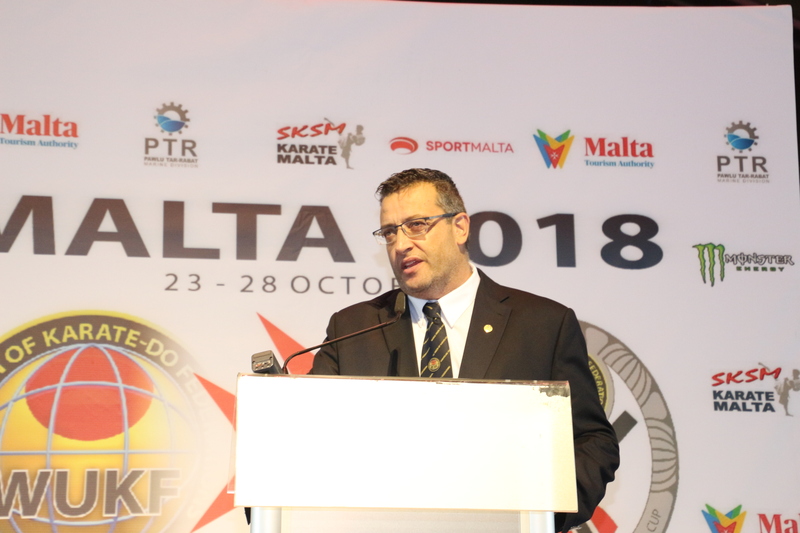 The team was led by SKSM President, Mr Chris Galea, who is a member of the World Union of Karate-Do Federations (WUKF) Executive Committee and President of the Mediterranean Karate Alliance (MKA). 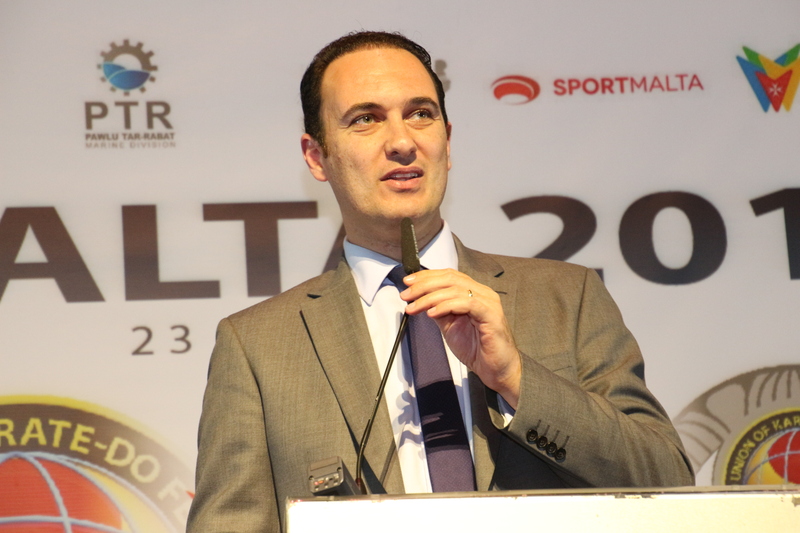 These Championships, which are the 10th Edition, were hosted in Malta through the Support of SportMalta, Malta Tourism Authority and several other Sponsors who helped in making this Event a great success. 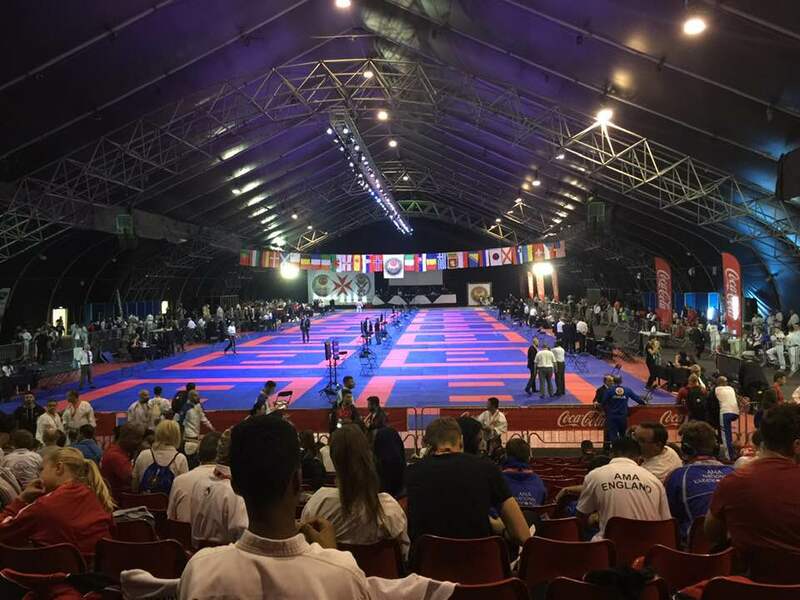 The number of athletes competing over the four consecutive competition days amounted to 1200, not to mention the large number of spectators surrounding the competition area every day during these Championships. 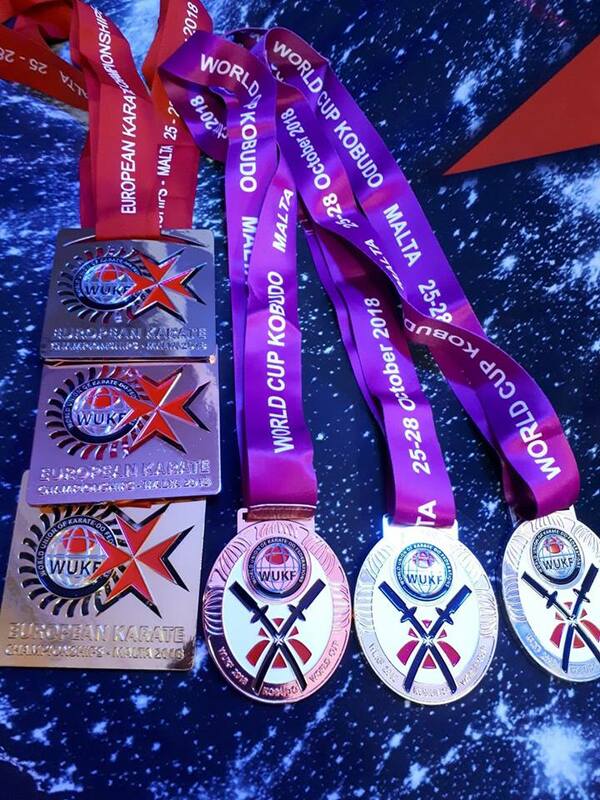 The Championships commenced on Thursday 25th October with the seniors and masters categories in both Kata and Kumite, together with the Team Categories. All finalists in these categories had to prepare for their finals on the last day of the Championships, Sunday 28th October, where nearly 230 Categories were held. Friday and Saturday were the most hectic of all days as they consisted of all the children’s categories. All Kata was performed on Friday while all Kumite was held on Saturday. The Opening Ceremony was dominated by a spectacular show of music and lights together with the athletes’ and referees’ parade. Hon. 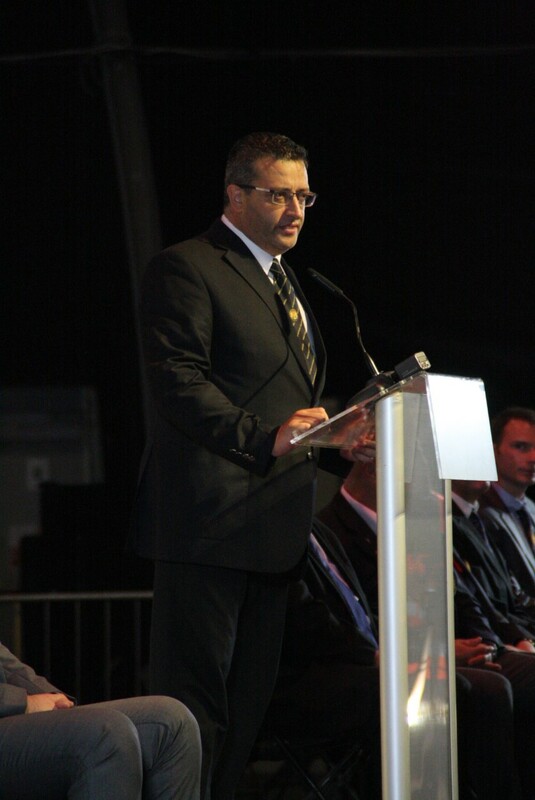 Dr. Clifton Grima, Parliamentary Secretary for Youths, Sports and Voluntary Organizations, was amongst the highest Maltese Authorities present for the Ceremony. 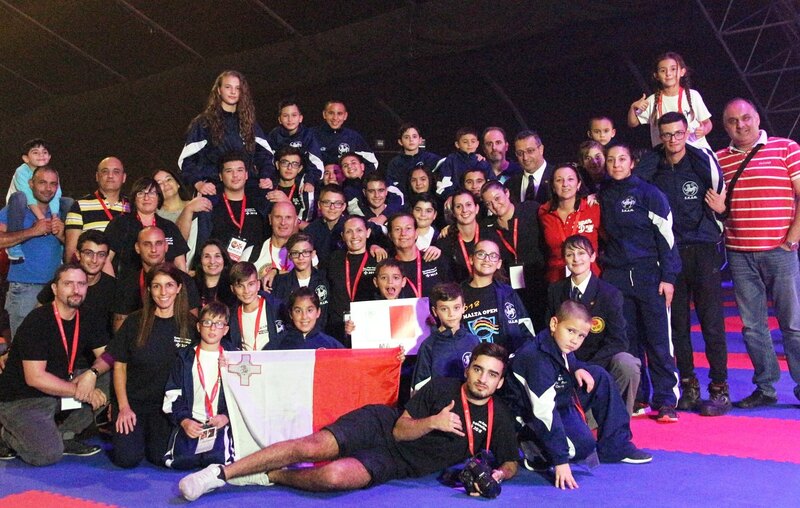 Malta was represented by a contingent of 20 athletes from SKSM Malta, who participated in both the European Championships and the Kobudo World Cup, winning a total of 18 medals; 3 Gold, 10 Silver and 5 Bronze. The team from Romania was comprised of 148 athletes and has won the overall winners with Italy as the runners up. England and Slovakia won the third and fourth place respectively. The next well known Event, which will be the 17th Edition, will be held in March 2019. 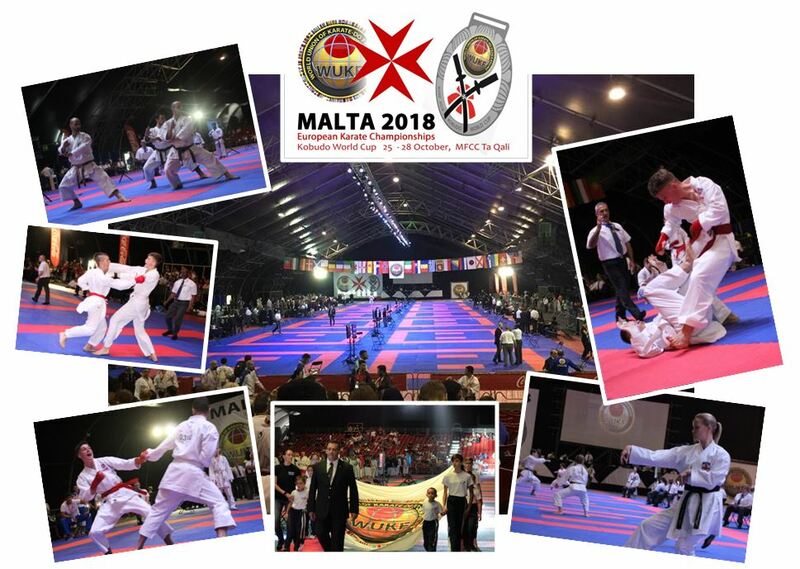 After the Successful European Championships held this October, a large number of foreign athletes are expected to attend in March for yet another great Event – the MALTA OPEN.